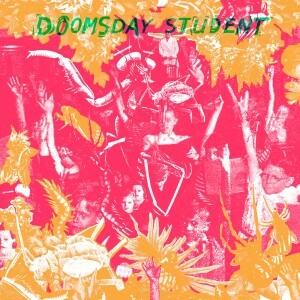 Doomsday Student stand unabashedly center stage and present as if in the throes of an exorcism, or perhaps a nervous breakdown. 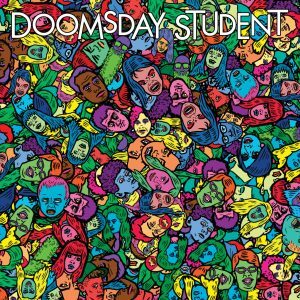 Blazoning music pregnant with anxiety-inducing guitar wails, curiously plucked patterns and rhythms, and lyrics that read as personal anecdotes and/or confessions, Doomsday Student is Eric Paul, Stephen Mattos, Craig Kureck, and Paul Vieira. 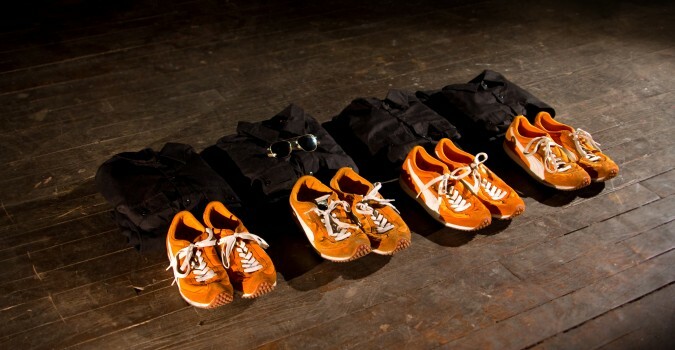 With members from past bands such as Arab on Radar, The Chinese Stars, and Athletic Automaton, one should not be particularly surprised by the level of dissonance, mania, and peculiarity thoughtfully amalgamated in both their music and stage presence. 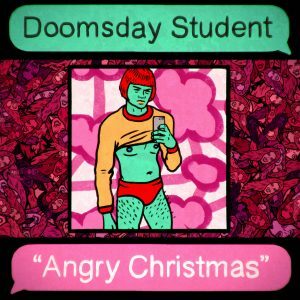 In a society built on finely-groomed impressions and deeply skewed perceptions, perhaps most enjoyable about Doomsday Student is their ability to be both aggressive and casual in sharing their depravity: not ‘trying too hard”, not hiding it, but instead embracing perversity with a solid sense of humor as well as blunt honesty. Spasming across stage, Steve and Paul each sing their own six stringed-sins via guitar as Craig pushes forth a barrage of hard-hitting, dangerous rhythms that leave the listener in the cross hairs of a continuous firing squad of percussion. Eric shrieks the sort of candid truths that make the less open-minded uncomfortable. 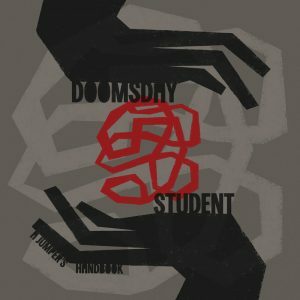 For those that get it, though, this forthright approach results in songs that feel playfully worrisome, in the best way– smirk-inducing and threatening at once.